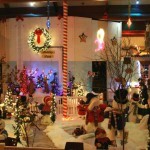 The Lincoln Park Police Department, the Lincoln Park Neighborhood Watch Program, and the Lincoln Park Chamber of Commerce are sponsoring a special session at Fantasyland, the annual Christmas display put on by the Chamber of Commerce. You will be able to enjoy all the sights and sounds of Christmas that Fantasyland always has to offer, including Santa and Mrs. Claus, but with an added bonus – a visit with one of Lincoln Park Police Department’s Canine Officers! Fantasyland Admission is $1.00 per person. Photos with Santa and the Canine Officer are $3.00 each, or two for $5.00. You are allowed to take your own photos, if you prefer. 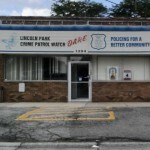 Members of the Lincoln Park Neighborhood Watch Program prior to September 2012 are required to re-register with the new program. Applications can be obtain from the Lincoln Park Police Department, or downloaded, or by using the form below.